They are totally woven with no printing or any other method, with fine 100% cotton thread. The wall hangings are expertly finished with sewn cloth backing, a pocket at the top for a hanging rod and weights sewn into the bottom to keep them flat. 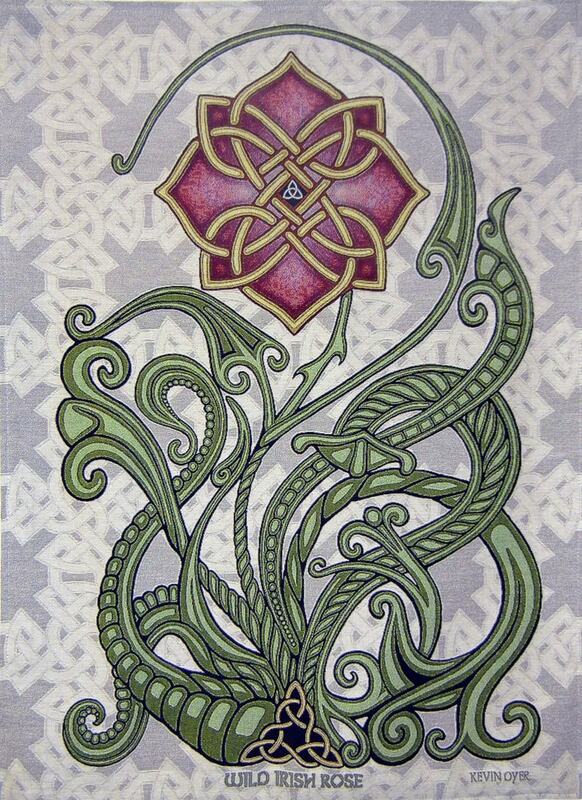 The Celtic knotwork is inspired by old Irish designs with the dragon of Saint George.